The Dualit Blender & Ice Crusher is an easy way to increase your "5 a day" intake, by creating delicious soups, smoothies and sauces. The blender liquidises even the toughest fruits and vegetables to create the smoothest liquid packed with nutrients. 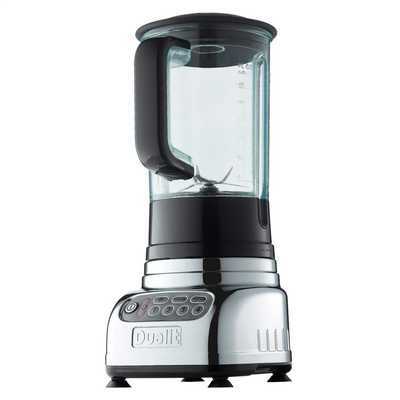 The versatile blender will make smoothies, milkshakes, sauces, baby food, soups, batters, dressings, cocktails and crushed ice. Free delivery for all orders £40 or over.